A very fun thing to witness. 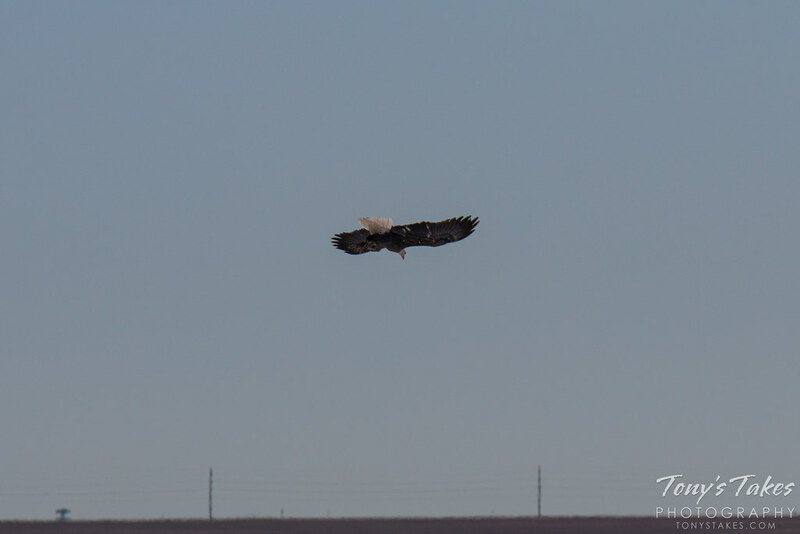 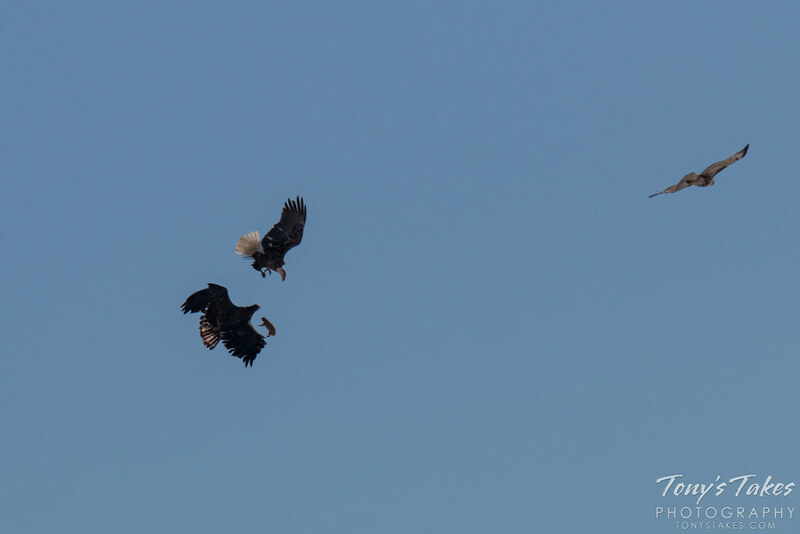 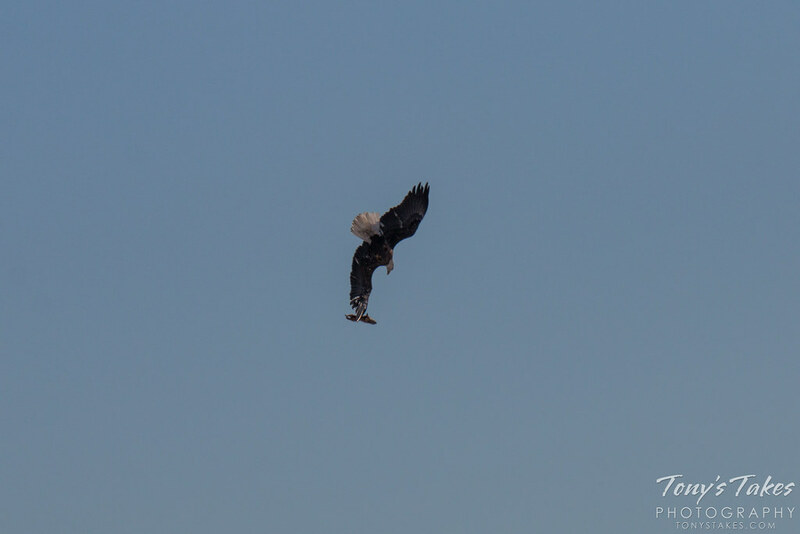 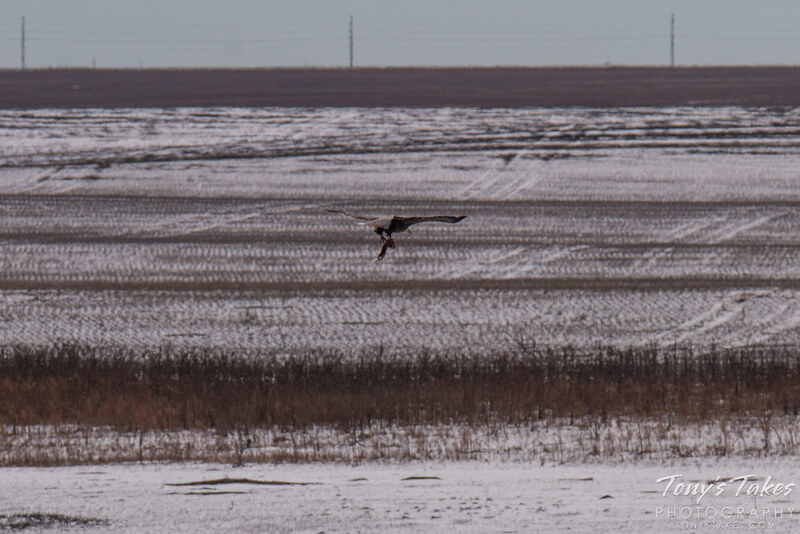 An adult Bald Eagle had snagged a prairie dog and as it attempted to fly off with it, three other eagles and a hawk chased it. 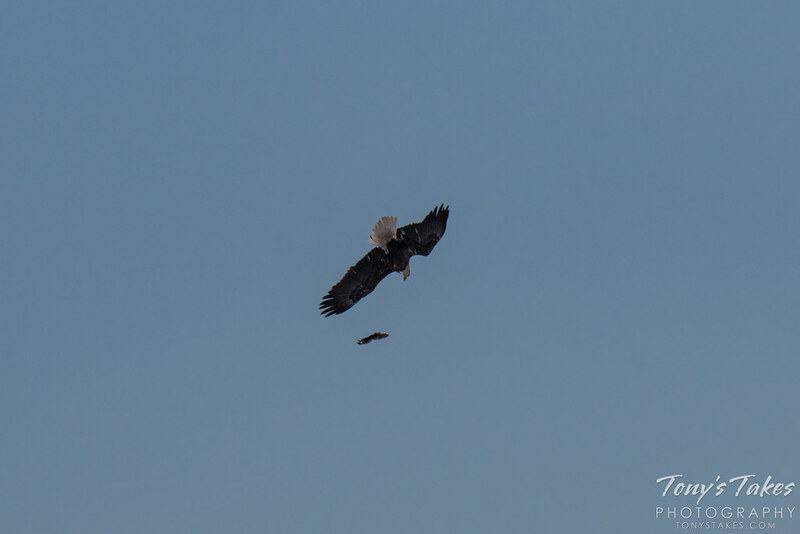 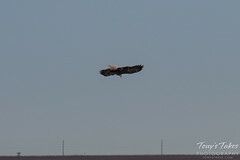 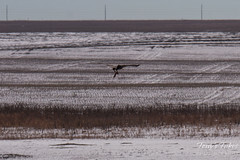 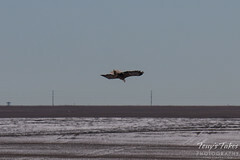 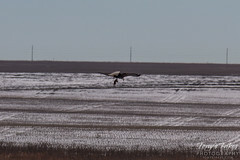 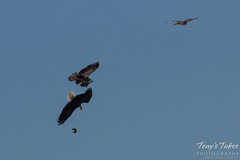 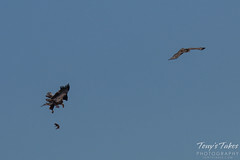 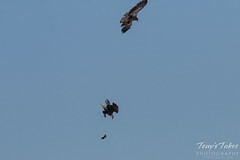 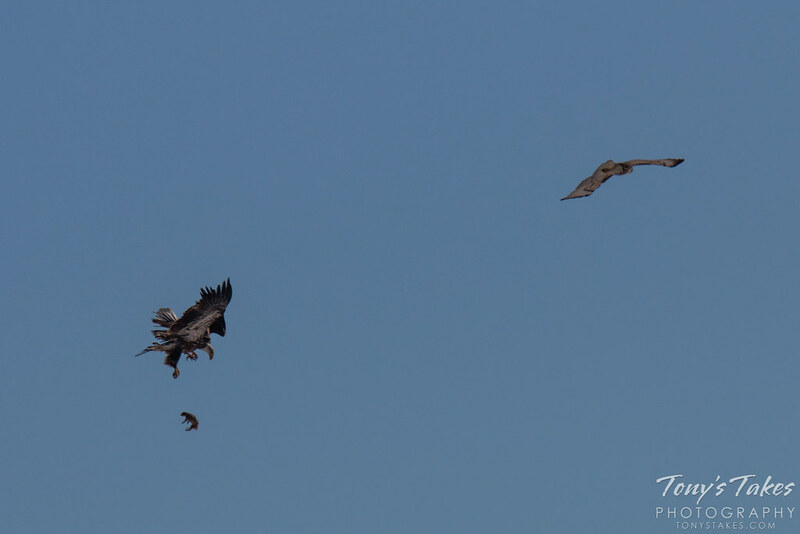 One juvenile eagle managed to knock the prairie dog from the elder’s grasp but the adult dove and snatched it mid-air. 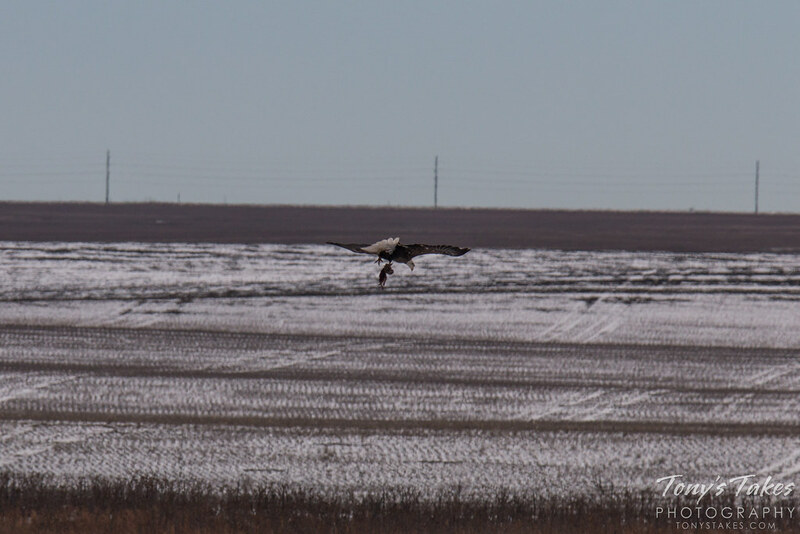 The action was a good ways away so these images are cropped heavily. 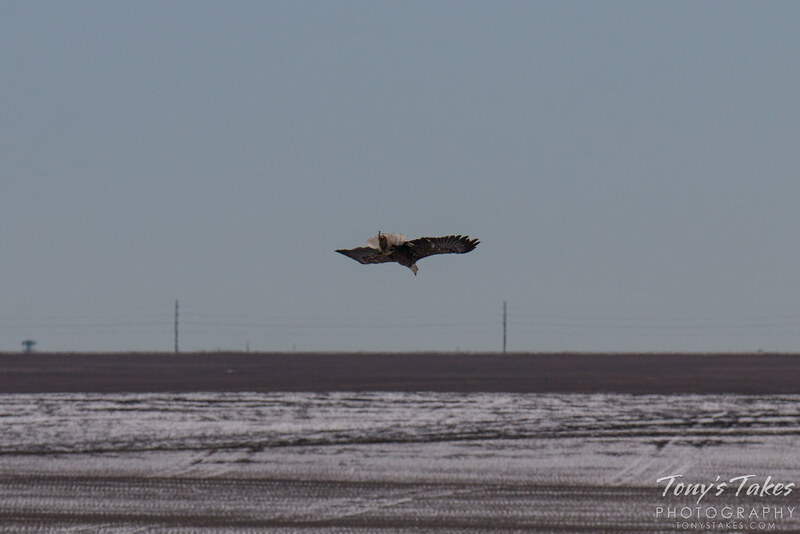 Taken in Adams County, Colorado. 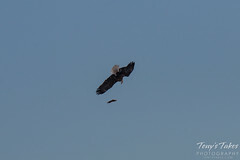 Scroll down to view the complete sequence of images.